What the heck is ASCAP? ASCAP (American Society of Composers, Authors, and Publishers) is one of three global PROs (Performing Rights Organization) that license and distribute royalties for non-dramatic public performances of copyrighted works. Past and present members include: Duke Ellington, Katy Perry, George Gershwin, Jay-Z, Beyoncé, Alan Jackson, Hans Zimmer and many more. 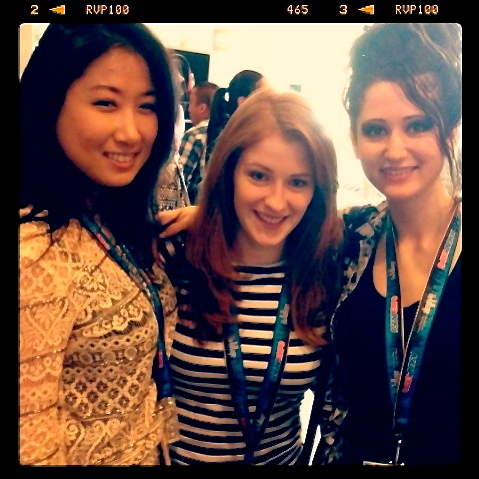 Tierney has been an ASCAP member since 2011 and traveled to Los Angeles for the annual ASCAP Expo this past April. While there, Tierney met fellow artists, songwriters, musicians, producers, and A&R representatives, and attended panels and interviews with Katy Perry, Ne-Yo, Stargate, and No I.D., to name a few. We look forward to the new collaborations and opportunities that arise from connections and friendships forged at this event.